Apple has announced that component supplier Ibiden has become the first company in Japan to guarantee all of its Apple manufacturing will be powered by 100 percent renewable energy. Ibiden is planning to invest in more than 20 new renewable energy facilities, including one of the largest floating solar photovoltaic systems in the country. "We're proud to partner with suppliers like Ibiden who recognize that renewable energy investments are good for the environment and good for business," said Lisa Jackson, Apple's vice president for Environment, Policy and Social Initiatives. "As we continue our push to power our global operations with 100 percent renewable energy, it is more important than ever that we help our manufacturing partners make the same transition to cleaner sources, and set an example for other companies to follow." 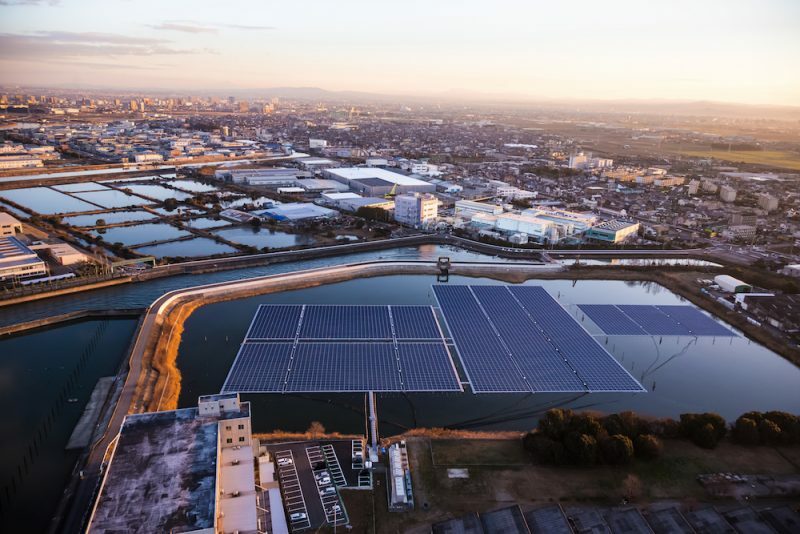 The renewable energy projects set up by Ibiden, which manufactures printed circuit boards and integrated circuit packaging used in Apple devices, will reportedly produce over 12 MW of solar power and support Japan's efforts to limit its carbon emissions. Apple and its suppliers are aiming to generate over 2.5 billion kilowatt hours per year of clean energy for the manufacturing of Apple products by the end of 2018, which Apple claims is equal to taking over 400,000 cars off the road for a year. More than 93 percent of Apple's worldwide operations are said to be powered by renewable energy. In August last year, Apple announced that Chinese supplier Lens Technology had committed to power all of its glass production for Apple with 100 percent renewable energy by 2018. Outside of manufacturing, Apple's new headquarters in California will be powered by one of the largest onsite corporate solar energy installations in the world. All of the company's data centers are similarly powered by 100 percent renewable energy, as are 145 of its U.S. retail stores, and the large majority of its corporate facilities.